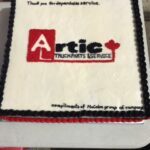 Artic Truck Parts & Service primarily supplies quality parts and service for drivetrain, brake and suspension components used in class 4 to 8 heavy duty, mid-range and off- highway commercial vehicles. 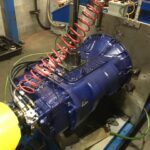 Products and services include new and remanufactured transmissions, including Allison automatics, differentials, clutches, driveline components, brake, steering and electrical for industrial applications as well as mid-range vehicles. We represent numerous major manufacturers, and distribute a broad range of parts and equipment to meet our customer’s requirements. Our customers include end users serving oil and gas, forestry, mining, construction, transit and common carriers throughout Western Canada. We are also a parts supplier to dealers, distributors and independent repair shops. The company’s objectives are to expand existing operations, open new parts and service facilities and further develop value added services, mid range support and industrial products. Our strategy is to focus on the Western Canadian market place providing quality products with maximum fill rates and timely delivery. We will market our products and services at competitive prices by a knowledgeable staff in a service minded and professional manner. Every month we feature different products and services.